I remember back in the late eighties, a school friend of mine let me borrow a pirate VHS tape he had. He wanted to borrow my copy of Robocop and so was offering his tape in exchange. I loved horror as a kid (no shocker there) and back in the days before people really paid attention to the certification in shops etc., I used to frequent my local newsagent to rent videos (for a whopping 50p a go!) which going by the often gory and bloody cover art I was far too young to be watching. Nonetheless, I rented video nasties without issue and so at that point I had seen a lot of films already, but the two on this tape were new to me, even if initially I thought it was a single film. Tyler Matthews is desperate for change. Sick of his life and plagued by alcoholism, he makes the decision to divorce his wife, sell everything he owns and travel the world to try and find focus and rid himself of his addiction. Eventually arriving on the sun-drenched shores of Australia and still plagued by his demons, he has spent all his savings and is facing the prospect of having to return to his old life. It is here that he meets two men with an outlandish story about a horde of sunken drug money in an area known as the Devil’s Triangle – Australia’s answer to its Bermuda namesake and said to be the lair of a terrifying monster of the deep. Offered a share of the fortune if he helps retrieve it, Tyler agrees to go with the men to the location, skeptical and thinking only of prolonging his journey of self-discovery. 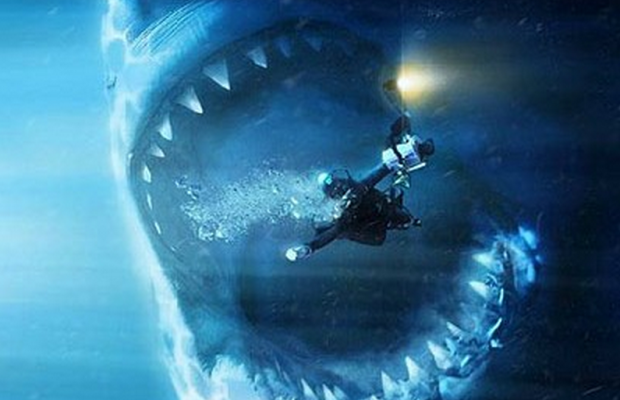 He will learn, however, that this particular urban legend is real, and they encounter a giant of the seas, the previously thought to be extinct Megalodon which makes its home within the area of the Devil’s triangle. Barely escaping with their lives, the three men wash up on an isolated island – no more than a rocky outcrop with no vegetation, fresh water of food sources. As desperation to survive intensifies, horrifying decisions will be made that will illustrate how man is sometimes the most violent predator on earth and when left with no option will do anything, even the unthinkable, in order to survive. You may or may not know this, but I’ve got a bit of a phobia towards ocean water. I don’t mind heading to the beach, especially Flordia’s white sand, clear water beaches of Pensacola. That’s not really the problem. The problem is the deep. Or better yet, what lives in the deep, what’s hunting in the deep. Perhaps blame for this phobia can be placed directly on Discovery Channel’s Shark Week specials I’d watched as a kid. Seeing those Great White’s launching themselves, razor teeth and all, up out of the water to snag a morsel of meat. I also clearly remember watching another show on either TLC or Discovery about an old fisher man’s tale about being out at sea and hearing a thudding noise against the bow of his ship. Taking a lantern (because this is late at night, mind you), the captain goes to investigate. Peering over the side of the boat he stares down at something he doesn’t quite understand, and then suddenly it dawns on him…he’s staring down at a giant eye, the looks at him, and then disappears back into the deep. 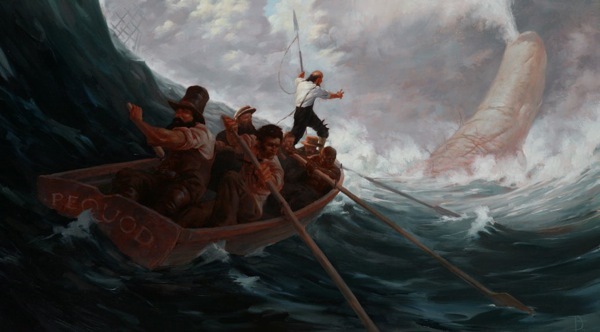 Most likely, the tale was about the infamous Kraken, a so-called giant squid with massive tentacles. Nonsesnse, perhaps, but still…these were the emotions I carried with me while reading Michael Bray’s new book, FEED. Throughout FEED we’re able to jump from chapter to chapter into various perspectives. Moving to where the majority of the story takes place, Australia’s Devil’s Triangle, I enjoyed the early setup between Scott and his “buddy” Karl, in which Karl informs Scott of an old legend of sunken gold, the only problem being that there’s a guardian of the gold, a giant monster that lurks in the deep. Scott doesn’t believe his stoner buddy’s story but decides to jump in and take a look anyhow. Why not, right? He soon discovers his friend was right, but instead of telling Karl that there is gold down at the bottom, he simply resurfaces to tell him there was nothing but sand, marking the GPS coordinates so he can return later and keep the prize for himself. This was a fun little scene, setting up what will be the eventual motivator of the story, getting that gold, but also being shown that getting said prize will most likely cost something, something very dear more like, as Scott definitely senses something down there stalking him. Or was it just his imagination? Somewhere around here, we’re introduced to Nash, a very scarred, very “Ahab” trope character. His face and most of his right side of his body are in ruination. His flesh horribly drafted and pieced back together and over twenty years or so has healed in a not so pleasant on the eyes kinda way. Nash looking into the mirror is constantly reminded of what happened to him out in Australia’s Devil’s Triangle and has his heart set on revenge. Things progress, time goes on, and we catch up with Tyler in…you guessed it, Australia. He’s been all over the world now, adapted to his new lifestyle, and burning through his funds rapidly, mostly due to his alcoholism. He claims “near-alcoholism,” but come on, a spade is a spade. If Tyler wishes to continue his pilgrimage, he’ll need to replenish his bank account. And as fate would have it, he runs into the most unlikely of people, Nash and his son, Liam, as they discuss things over a few pints of bitter. He overhears their conversation and is quickly swept up in a bid for unimaginable riches. My only hang up here is how easily diving underwater seems. I liked the detail with the equipment, knowing the names of parts I’ll never look up, and though I’m not a “diver” myself, I would assume there would need to be some sort of training involved. I could be wrong here. I’ve only ever been snorkeling, maybe any joe schmoe can put on a wetsuit and some flippers and tread deep water. But regardless, this IS a detail easily ignored and doesn’t really effect the overall story. And so, Nash recruits Tyler to join him and his son, Liam, on a mission to get rich by finding the treasure left behind on the seabed of the Devil’s Triangle. FEED works in many ways because it is and isn’t a traditional monster story. Sure, we’ve got the Megladon that is very protective of its territory. But we’ve also got a cast of characters that are not in the least two-dimensional. Tyler, the main protagonist, has his flaws, but he’s also very human and real and because of that, he is relatable. As are the many other characters, even the ones that don’t last very long on “screen.” Nash would be another great character I liked reading, a very “Ahab” prototype, hell bent on revenge, even at the risk of his own son and Tyler. Survival and the lengths we’re willing to go to survive are strong motivators of the story, some of which play out in very grotesque ways. 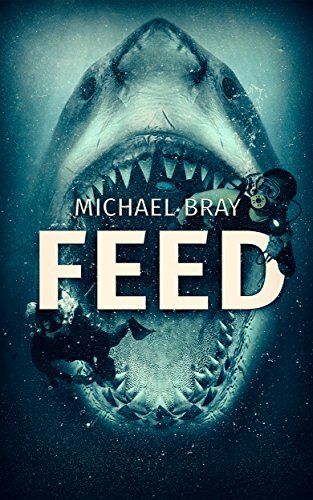 This highlights that FEED isn’t just a story about a shark gobbling up people, in fact, for most of it, there are other predators and demons one has to watch out for. My own personal phobia of the ocean no doubt played into my reaction to the story Michael Bray has cooked up for his readers, but it also says something of the quality of the writing, to be able to play on those phobias, the isolation, and claustrophobia, the unknown aspects of what’s really out there in the black depths of the water. FEED is definitely a read fans of horror will not want to miss. You can get your copy of FEED for $3.99 on Amazon!! Michael Bray is a bestselling horror / thriller author of several novels. Influenced from an early age by the suspense horror of authors such as Stephen King, Richard Laymon, Shaun Hutson, James Herbert & Brian Lumley, along with TV shows like Tales from the Crypt & The Twilight Zone, his work touches on the psychological side of horror, teasing the reader’s nerves and willing them to keep turning the pages. 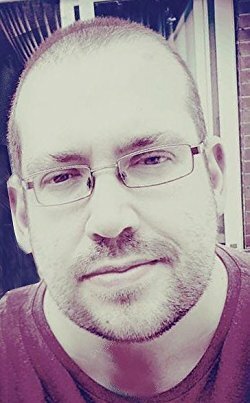 Several of his titles are currently being translated into multiple languages and with options for movie and Television adaptations under negotiation for others, he will look to continue his growth as a full time professional writer long into the future.